1) Preheat the oven to 200°C, gas mark 6. 2) Toss the bread in the oil and place on a baking tray. Bake for 8-10 minutes or until golden. Allow to cool. 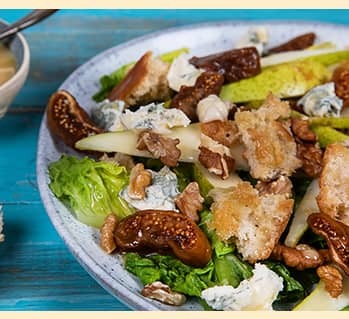 3) Place the Romaine leaves on a large platter and scatter over the figs, walnuts, pear wedges, gorgonzola and croutons. 4) Drizzle over the dressing to serve. 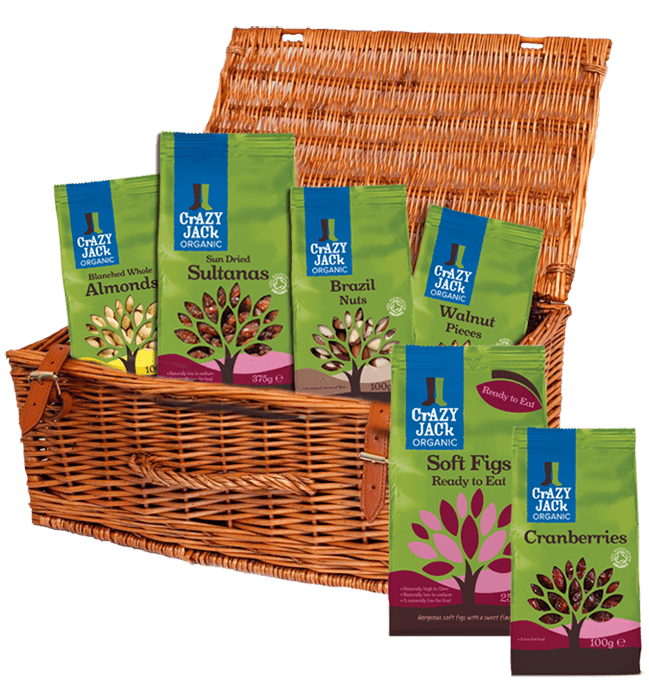 Try other cheeses such as mozzarella, other blue cheeses or grilled halloumi. 1) Mix together the zest and juice of the orange, the Dijon mustard, balsamic vinegar, olive oil and sesame seeds. Season well. 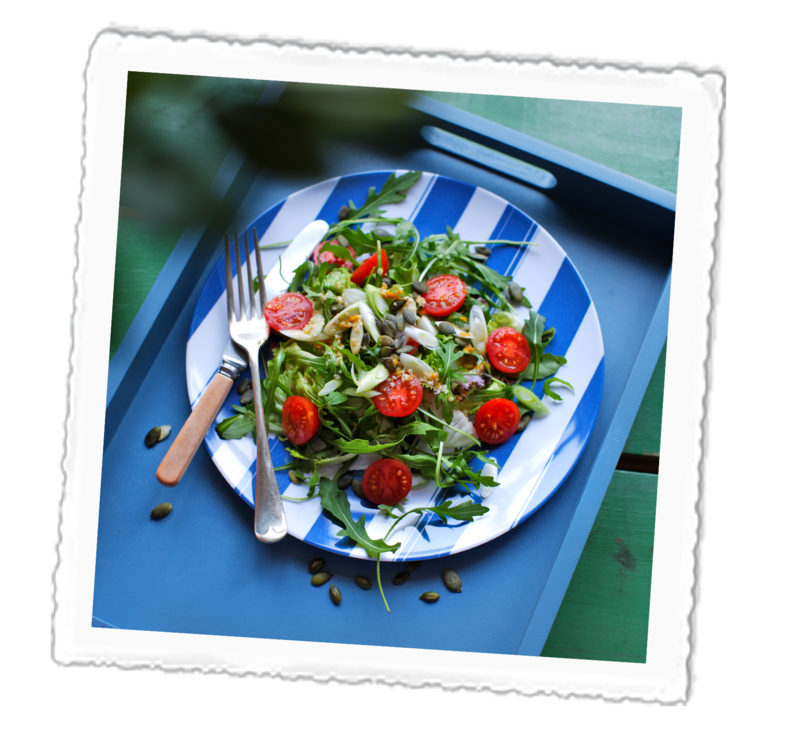 2) In a large bowl, toss together the rocket, mixed leaves, cherry tomatoes, spring onions and pumpkin seeds. 3) Drizzle over the dressing and serve immediately. 1) Put the bulgur wheat in a large bowl and add the stock. Stir for 30 seconds, then cover with a plate and leave for 5-10 minutes. Fluff up with a fork and season well. 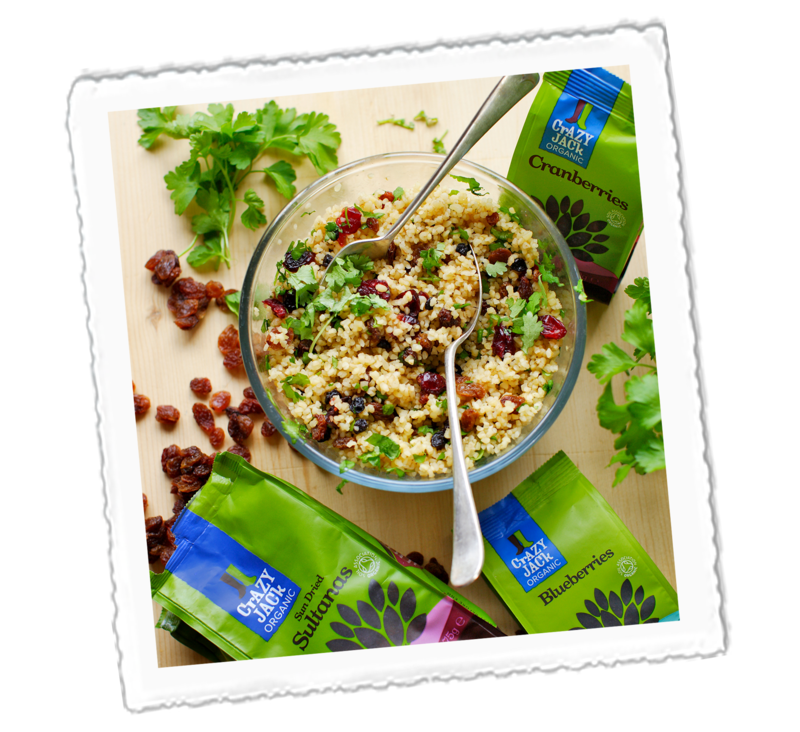 2) Drizzle the olive oil over the bulgur wheat and add the Crazy Jack sultanas, blueberries and cranberries. Season again and add the fresh herbs. Stir through and serve. 1) Place the couscous in a large bowl and pour over the boiling water. Cover with cling film and leave for 5 minutes. 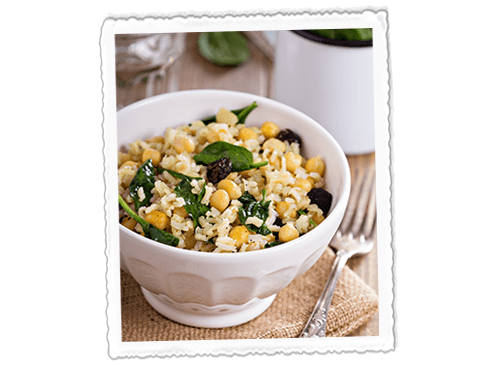 Fluff up the grains with a fork, then set aside. 2) Meanwhile, blanch the broccoli in boiling water for 3 minutes. Drain, then plunge into cold water to stop the cooking process, drain again and pat dry with kitchen paper. 3) In a small bowl mix together the lemon zest and juice with the olive oil. Pour over the cooled couscous, season well with salt and pepper and tosee together. Add the cucumber, apricots and broccoli and toss again. 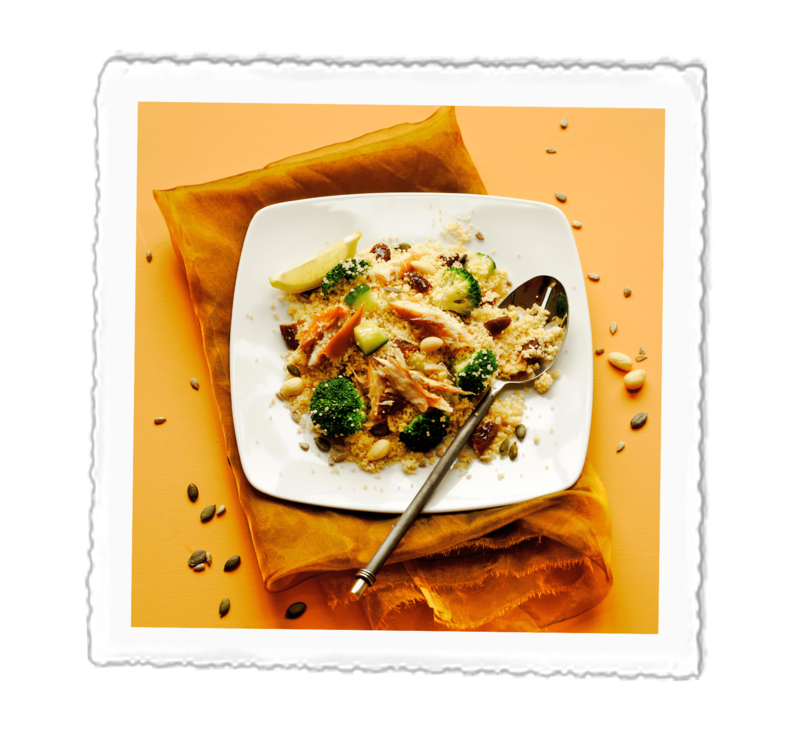 4) To serve, spoon onto a large serving plate or platter, top with the mackerel and scatter with pumpkin and sunflower seeds and almonds. 5) Serve with lemon wedges to squeeze. 1) Soak the currants in the orange juice for 30 minutes. Strain and reserve the juice. 2) Mix the juice with the olive oil, tamari, mustard and seasoning to make the dressing. 3) In a large bowl, combine the remaining ingredients, pour dressing over and serve. 1) Boil 2 cups of boiling water (or stock) in a wide bottomed pan. 2) Remove from heat and add 1 cup (200g) of couscous. 3) Cover and leave for 5-7 minutes. 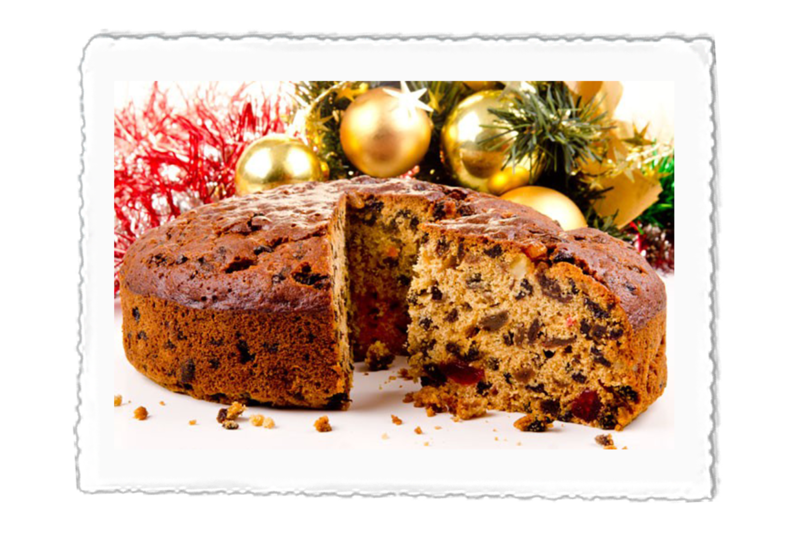 4) Add a knob of butter or tablespoon of oil and fluff up with a fork. 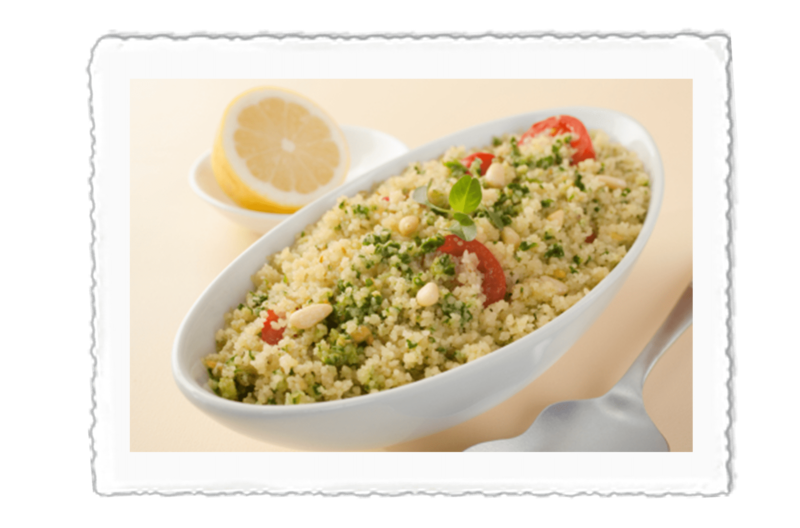 5) Dice all of the fresh vegetables; mix the vegetables and seeds into the couscous. 6) Roughly chop the coriander (or other herbs) and stir through. 7) Finally fork in the oil and lemon and serve.